Sabyasachi's channels the 70s spirit at Lakme fashion Week / Resort 2015.There were so many chic ensembles from top-to-toe slinky sequined dresses, print-on-print flared pants and shirts, flowing boho dresses, tunics crystallized in heaps of shine, sarees pants, —all paid tribute to the nightclub scenes of films.The show was epic and beautiful. 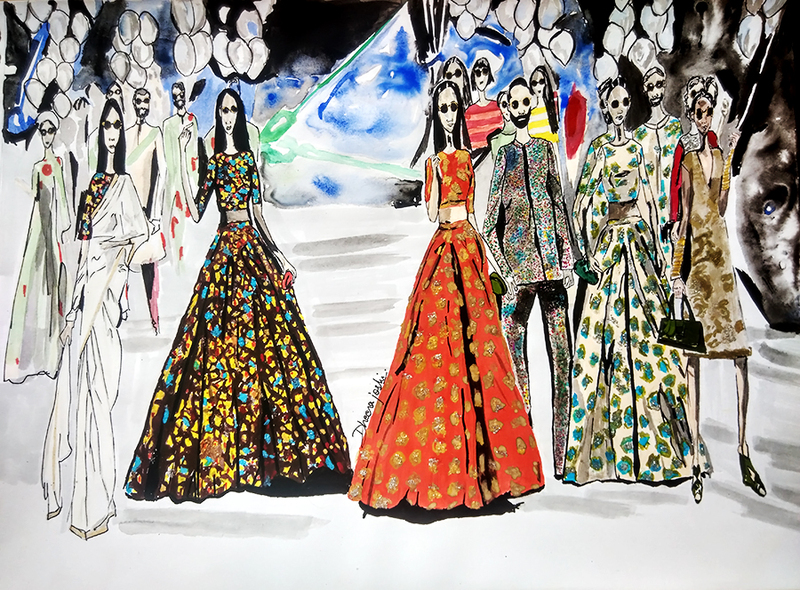 Here is the illustration of the final ensemble of models who appeared in a dizzying display of Indian bridal wear. hey hi Anna...love to follow you on bloglovin! !